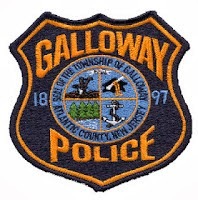 On Wednesday, February 19, 2014 at 9:03 p.m., the Galloway Township Police Department responded to a residence on Federal Court in reference to an activated burglar alarm. Upon their arrival, police observed that the front door to the residence had been forced open. The homeowner, Joseph Brandenberger, also responded and confirmed that several items including a laptop computer had been stolen. During the burglary investigation Brandenberger assaulted a police officer and narcotics were discovered inside the residence. A search warrant was obtained and with the assistance of a Galloway Township K-9, police located numerous amounts of marijuana, cocaine, ecstasy, oxycodone pills and amphetamines. Brandenberger was placed in custody and charged with numerous possession and distribution of CDS charges as well as assaulting a police officer and obstruction of justice. He was lodged in The Atlantic County Justice Facility on $100,000 bail. Officer Gary Brenner and Detective Ryan Goehringer are the investigating officers.